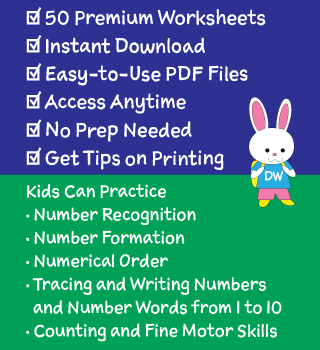 Our Premium Numbers Worksheets Collection is comprised of 50 worksheets made into one easy to use PDF file. 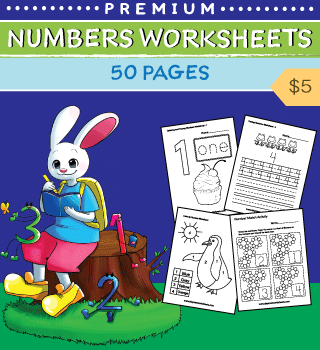 Kids can build number recognition, number formation, numerical order, counting, and fine motor skills in this series of fun numbers worksheets. 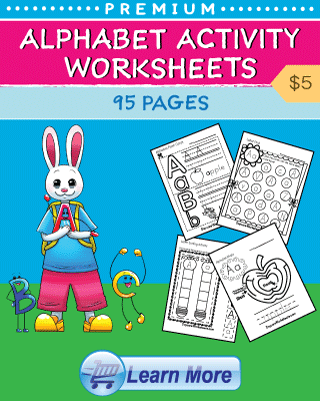 Activities include color by number, connect the dots, number matching, and fill in the missing numbers. Children can also trace and write numbers and number words from 1 to 10. 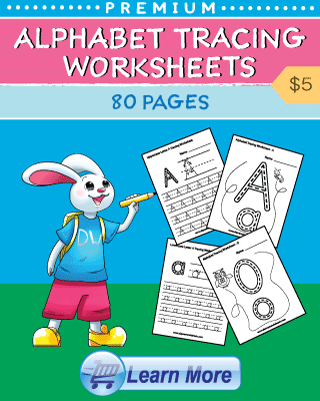 “Excellent set of worksheets more than I could have hoped for.” ~ Pearl S.
“Great resource!” ~ Judi V.
“Perfect, simple cute. clean lines to trace. fun” ~ Stephanie T.
“Great packet with nice variety!” ~ Maria M.